When I woke up the sky was deep blue, the weather report promised 35 degrees. I decided to stay in the city and to walk to the Jewish cemetery and the nearby former concentration camp site. It was a sad walk. A day without great events. A last walk through Chernivtsi (Czernowitz) and then an eight hours bus ride with the marshrutka to Lviv (Lwow, Lemberg). The graffiti says “Glory to the Jews”. The Jewish cemetery of Chernivtsi (Czernowitz) is an enchanted garden. In his jungle you meet lions, deer, blessing hands, and people who are long gone. This morning I had some time to explore it once again. Even after many visits, it is a fascinating place to me. The cemetery tells of rise and fall of Jewish Czernowitz. I spent the afternoon with the volunteers of SVIT Ukraine who work in the cemetery. Today I have met the volunteers of SVIT Ukraine who work in the Jewish cemetery of Chernivtsi (Czernowitz), to clear it of rampant vegetation. It is a miracle that this workcamp takes place. Many people are afraid to come to Ukraine because of the war in the east of the country. And SVIT faced big challenges. The organization has its headquarters in Artemovsk, which was temporarily occupied by “separatists”. The infrastructure had to be moved to Kharkiv, bank accounts registered in Artemovsk were temporarily closed. The by Russia stirred up war has an impact on Ukrainian civil society and on the opportunities of young people for international exchange. 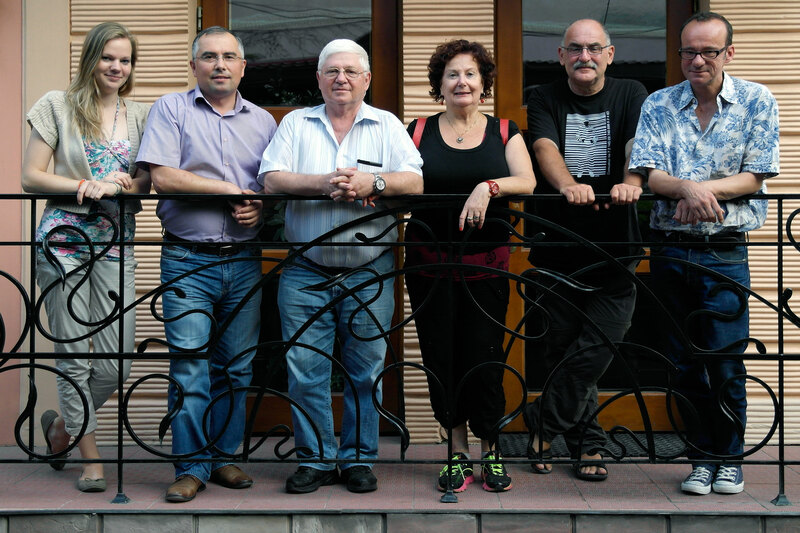 It is always nice to meet Czernowitzers in Czernowitz (Chernivtsi) – old and young! Stories are exchanged, old stories, new stories, wishes and hopes for the future. From left to right: Janne, volunteer of Action Reconciliation Service for Peace, Mykola Kushnir, Director of the Jewish Museum, Arthur Rindner and his girlfriend Rina, Edgar Hauster and I.